ISLAMABAD: Pakistani nuclear physicist and former head of Pakistan Atomic Energy Commission Dr Ishfaq Ahmad has passed away on Thursday at age 87, according to the media reports. Following the reports of his death, the PAEC acknowledged the deceased scientist’s contribution, saying Dr Ahmad’s services in the field of nuclear energy were exemplary. 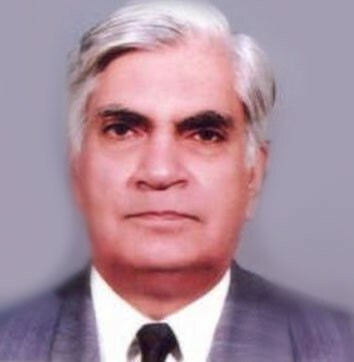 Dr Ishfaq, who had also served as the former science advisor to the government of Pakistan, was heading the PAEC when Pakistan became a nuclear power in 1998. His work was also acknowledged by the government of Pakistan and other institutions on various occasions. In 1989, Dr Ahmad was bestowed with first state honour, Sitara-e-Imtiaz by then prime minister Benazir Bhutto; and Hilal-e-Imtiaz in 1995. In 1998, Ahmad received the highest state honour, Nishan-e-Imtiaz, given to any national of Pakistan, for his services to the country in a graceful state ceremony. He was also awarded gold medallion by the Institute of Leadership and Management in Lahore, in the same year.